If you like Kosta Del Mar(on TM Radio for over 12.3 years), please, consider telling your friends. Only 19 years of age, Kosta Del Mar first found his love for music at a very young age, only 5 he recieved his first record, not a great one but thats not the point. he discovered house music at 8 years old from his older relatives who had started hitting the club scene and got sucked into the dance music revelation. developing a taste for trance and house, it became more of an obsession as he began doing mixtapes for his friends in his early schooling years. playing them all his favorite songs and spreading the happiness he found in this music. 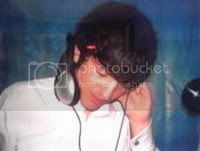 The djing all started after he first heard a mix cd, in 1999, Sasha's global underground Ibiza. thats when the art of mixing and track selection really entered his mind. only 12 years of age at this time, Kosta wanted to dj, but sadly, not having the equipment nor the funds at the time, he waited until he could work and start saving the money to buy his first turntables. Only this year at the age of 17, Kosta finally bought his turntables, and mixing everyday for the past few months released his first mix as his April Promo, just before turning 18, playing a style more associated with older and more experienced djs. Finding time to fit in his mixing around a tight schedule studying engineering at university, the limited spare hours Kosta has, usually goes to his music. Finding the sounds of deep electro, minimal house and progressive more to his liking, the more soulful and rhythmic tracks that you will hear in his mixes display Kosta as a person, and represent the side of him that brings about happiness and good vibes. Now having his turntables for just over 6 months, he has released his second promo mix, so check it out! !